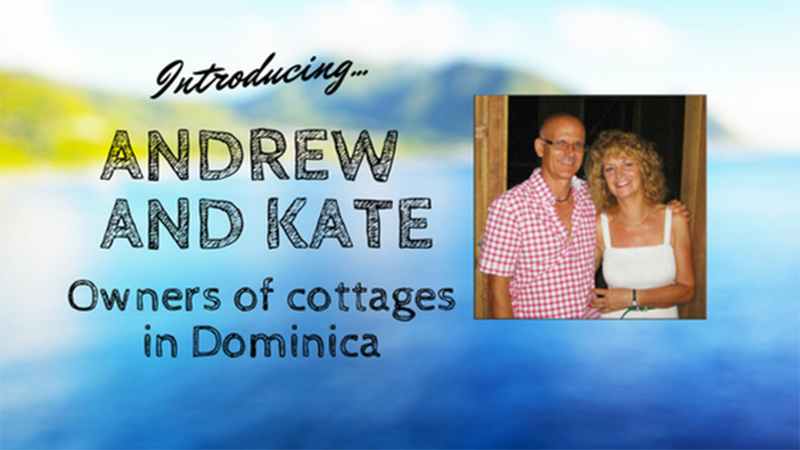 Andrew and Kate know the true meaning of the saying 'living the dream,' as they take time out of their busy day to discuss the wonders of Dominica, while Andrew rests his injured leg on a Caribbean beach, bit enjoying the sound of lapping water on a white, sandy coast. Why did you decide to buy property in Dominica? We were looking to find somewhere that's still in its infancy as far as tourism is concerned. Obviously, we’ve travelled to established places in the past and it felt false, so we wanted something that was the genuine article, we wanted a real community that hasn’t been tainted by globalization. After we did some online research we found Dominica and visited in 2008 to have a look around the island, staying different places and getting a feel for the place and we liked it. What's it like on the island? It hasn’t been developed, it’s still quite poor and therefore it’s beauty is in its almost primitiveness. The roads are never fixed and the electric goes off every now and then and sometimes the water cuts out, but that’s the reality. It’s not been able to keep up with modern-day life, so there’s a sense of struggling a little bit, but everyone just gets on with their lives and they're not expecting the tourist dollar to help. It all comes with the territory, the island is 90% rain forest, you can pick fruit from the trees and walk into the rain forest and bathe in the stream. It’s not just about beaches, you can bathe in the stream, snorkeling amongst the reefs and enjoy the rain forests. How does it compare to other Caribbean islands? 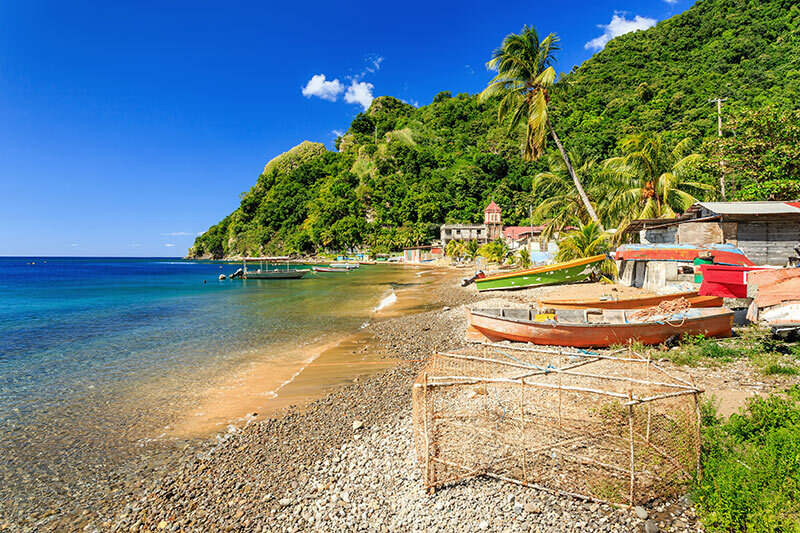 We knew what tourist islands in the Caribbean were like, Dominica compares to one or two, but not to the majority. Things aren’t prepared for tourists here. You have to be adventurous and find your own way a bit. Although there is a lot of accommodation and you can travel along the road a little bit, there’s rental cars and qualified guides, certified by the Government. But, it’s not all laid out for you like so many other islands. There are no big hotels here where you can stay and go for day trips. You’re more likely to find accommodation like ours and then its up to you to make your own holiday. It's different but I think that’s the whole point it’s not a Barbados, it hasn't reached that level of tourism yet. You have to get the information off the internet or get the guide book and plan your own trip. What are the locals like with tourists? The locals are open and they love to see tourists, they’re incredibly helpful and friendly. Our guests always comment on how lovely the people are, they’re very, very welcoming. So it’s something they’re looking forward to as they develop tourism, but someone like me won’t like it because it’ll change the face of the island. It’s a British island, so everyone speaks English and chatting with people is extremely normal and they would love to chat to you. When you’re here you’re very embedded into the local community and they accept you quite readily. They appreciate you for the fact you’re spending money in the community, it’s a very welcoming community. What food will I expect to find in Dominica? It varies immensely. There are a lot of diverse restaurants here and its changed a lot. I can walk to the bay (it takes 2 minutes) and there’s a guy on the beach who will do me grilled lobster with some local vegetables. They have a lot of locals that know how to prepare food. As you travel around the island you can find similar places. There's a lot of fish, because that’s what is available here. It’s really diverse, in terms of food and you can find Italian, Chinese and plenty of other restaurants all over the island. So, the cuisine is made up of simple local food and complex international food. Which property do you recommend to first-time famalies, visiting the island? What would you recommend to do in Dominica? Usually we provide people with a list of ideas, there are days when you don’t want to travel so far and days you do. From our properties you can walk down to the bay, eat on the beach and snorkel to the reef, full of fish. You can get a rowing boat around the bay and there’s an early 20th century ship, for you to explore under water. 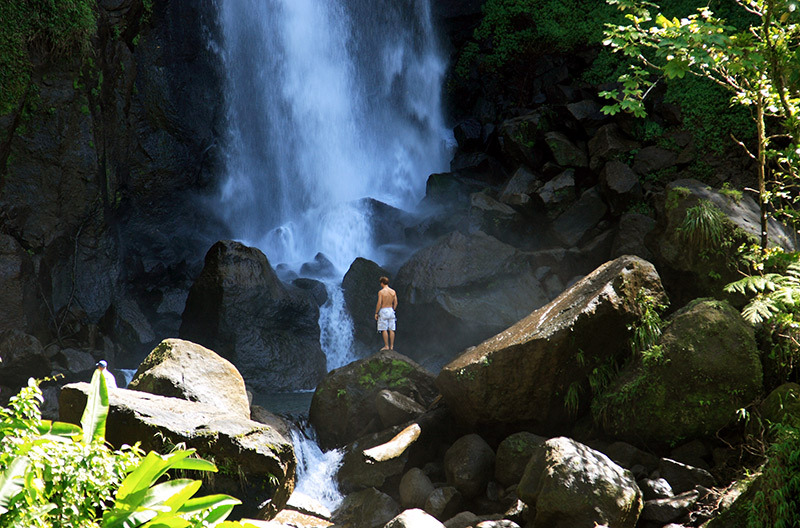 Just a five-minute drive will take you to a hike that’ll lead through cocoa plantations to a waterfall. A 20-minute drive will take you to the Syndicate trail, where you can see parrots and bathe in the pool by the waterfall. Portsmouth itself Caribbean town 10 minutes, find something to eat, do your shopping and they have the biggest beach on the island. There're nine active volcanoes on the island, you can walk and see where the earth is bubbling, you can relax in sulfur pools turned into baths and it has some of the best diving in the world – there's even a family of whales to spot. But, if you really wanted to try something a little different, you can go and visit a tribe of indigenous people in the Caribbean Kalinago, a community that have the right to self-rule. The conquering west wiped them out in the rest of the Caribbean, but they still exist here. Are you looking to discover your inner adventurer? We're offering a discount on properties in Dominica, just download the PDF of 'A Stay Away' by Clickstay.